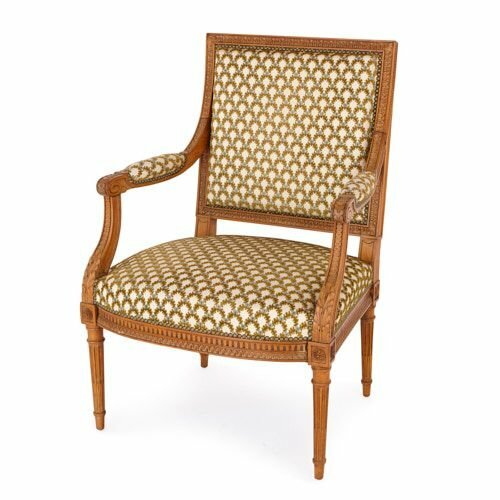 This beautiful armchair was designed by the famous 19th Century cabinetmaker, François Linke, and will make an elegant addition to a study or living room. 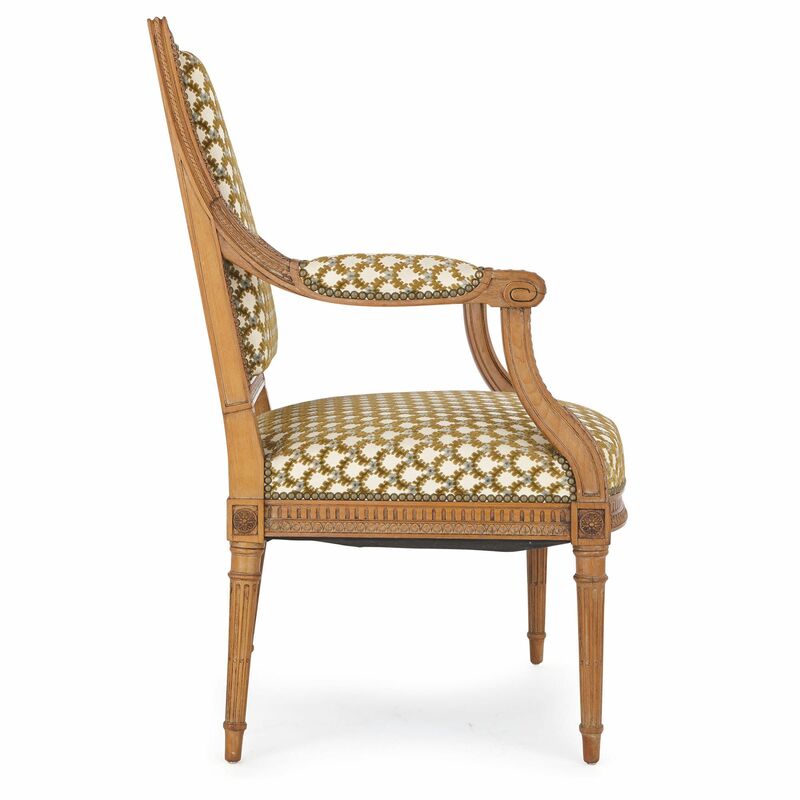 The armchair stands on four, 18th Century style turned and fluted legs, with peg joints enclosing rosette carvings. 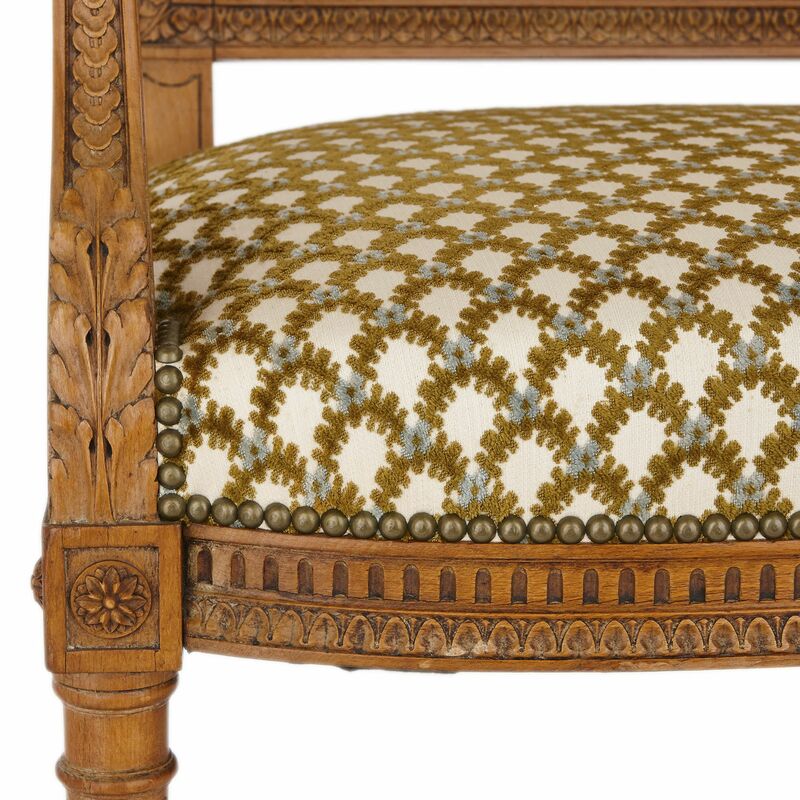 The front and side seat rails have been intricately carved with egg-and-dart patterns and fluting. 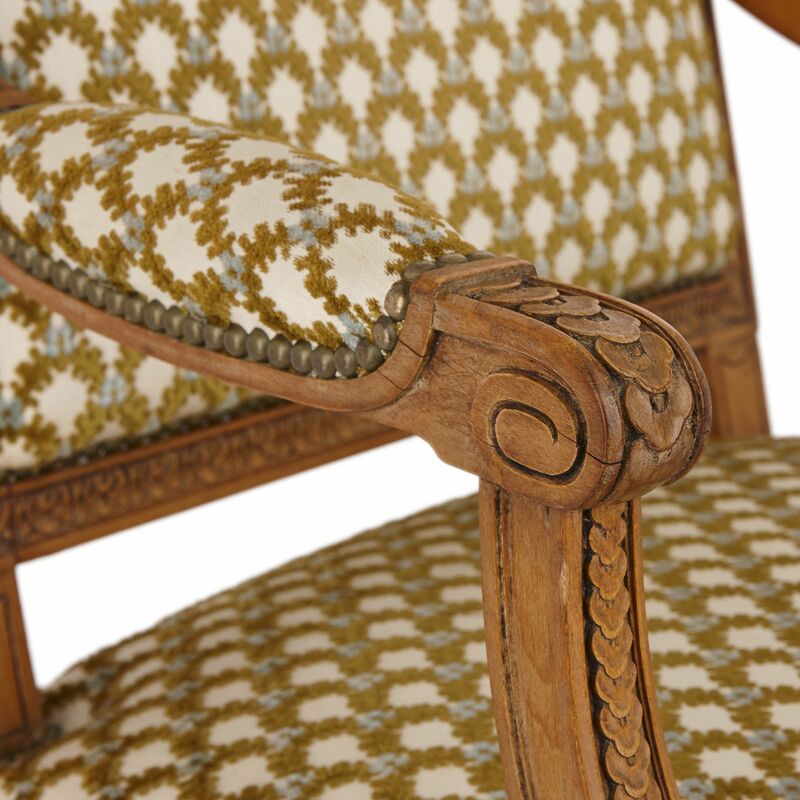 Delicate foliate carvings decorate the chair’s arm supports, arms and back wooden frame. 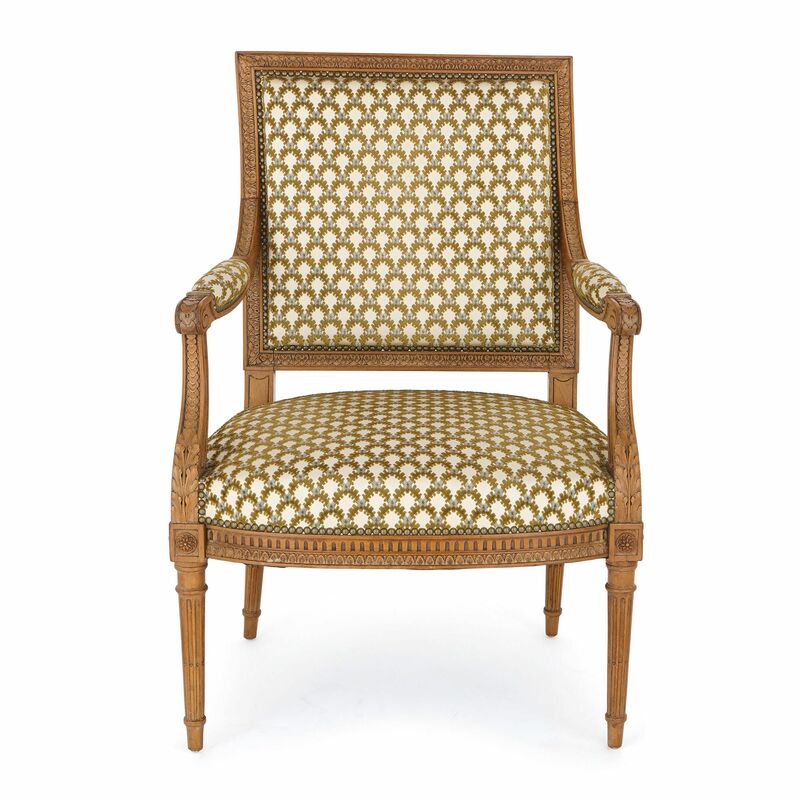 The chair’s seat, its arm rests, and back are covered with a cream-coloured silk, decorated with a repeated pattern of green and blue swags, and secured by green buttons. ‘F. 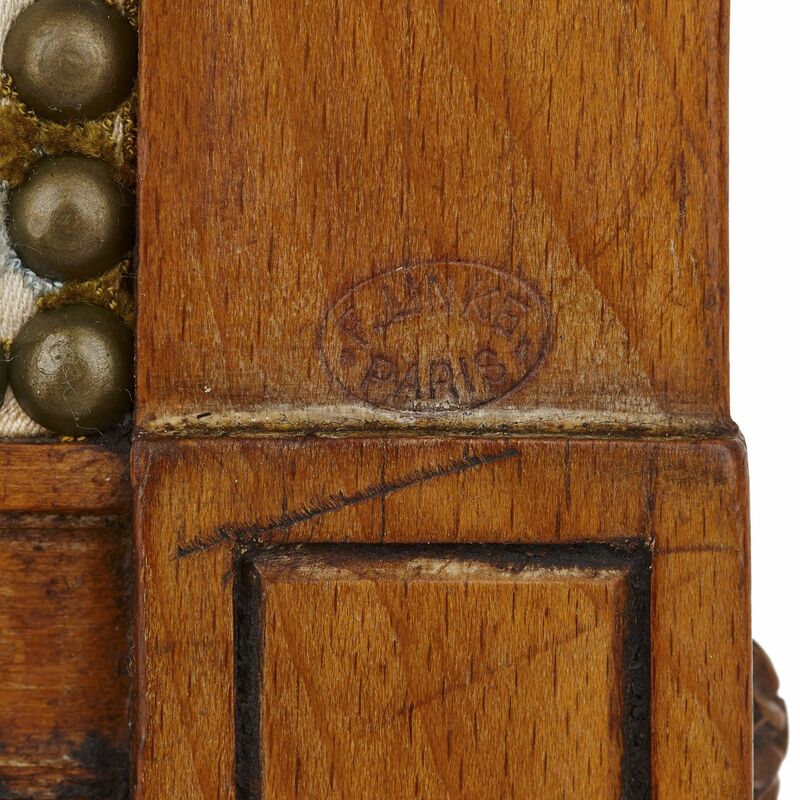 Linke A Paris’ is inscribed into the wooden back of the chair. 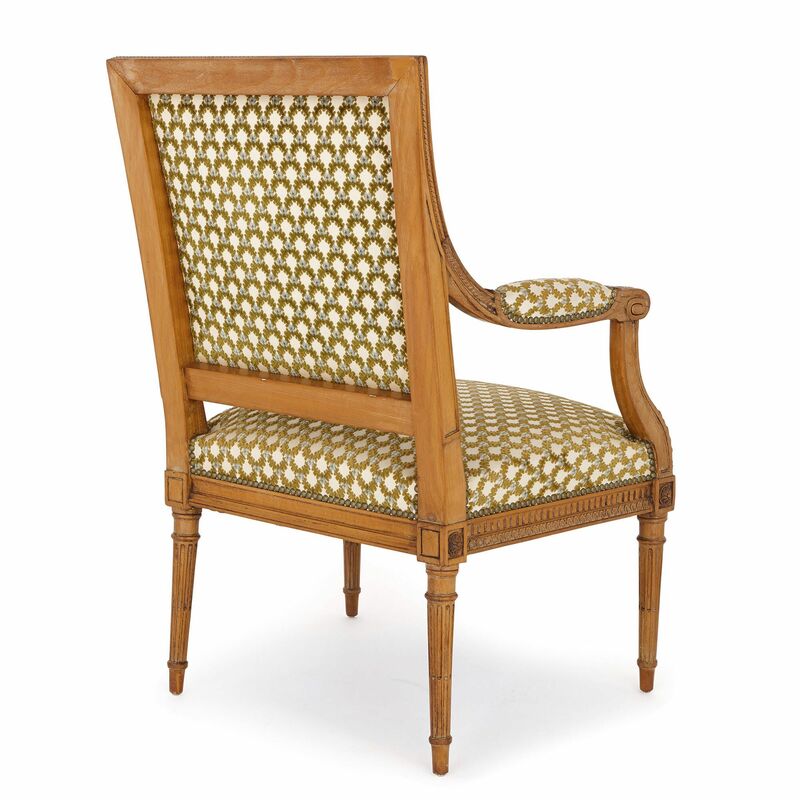 The craftsman, François Linke, was a famous ébéniste (cabinetmaker), working in Paris in the late 19th Century. 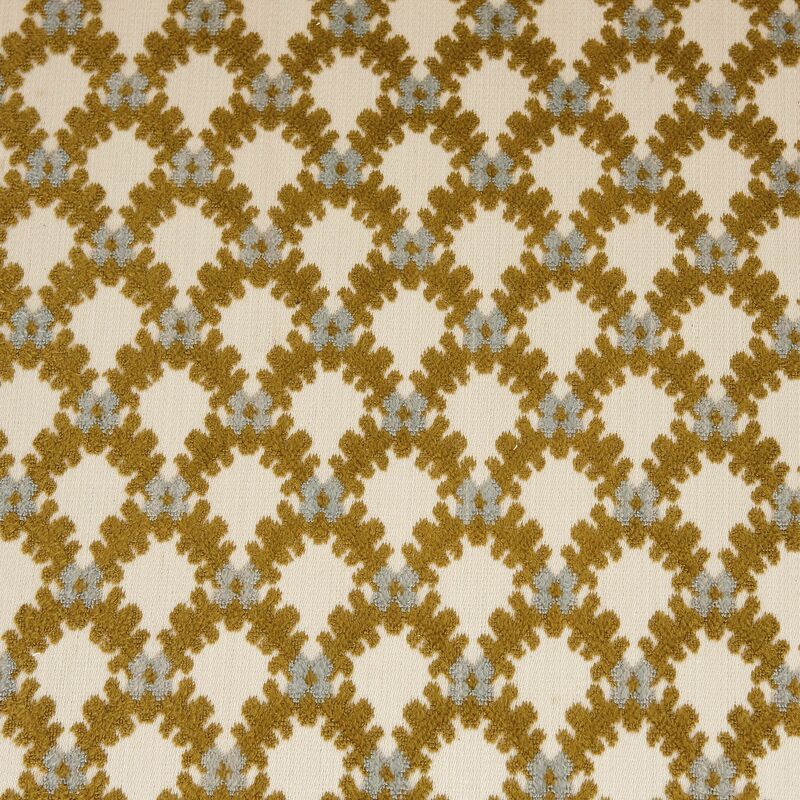 Linke was widely praised for his ability to creatively revive 18th Century furniture styles, recombining and applying these motifs in modern ways. Linke was not only a celebrated designer, but also an exceptionally skilled craftsman, who consistently produced high-quality, expertly-constructed furniture.